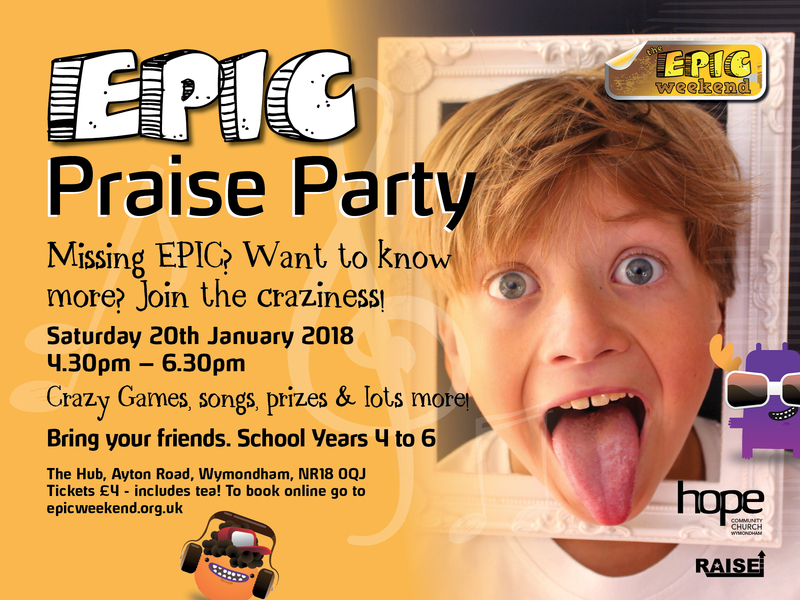 We will be holding the next EPIC Praise Party on Saturday 20 January 2018. The Praise Party is for all children in school years 4 to 6 and will be filled with fun, crazy EPIC madness and worship. Children are welcome to bring friends along with them regardless of whether they have attended an EPIC event before.